Bespoke towers of between three & eight artisan cheeses to reflect & respect the seasons, work with the budget & ensure you have enough. Because there’s a cheese-devouring uncle-monster at every wedding party. We are pleased to offer professional decoration & floristry to compliment the cheese as an optional extra. Prices start at £200. Enquire here. The perfect end of meal choice. No matter how good the main course was, or the speeches aren’t, a delicious, seasonal cheese board with all the trimmings is a sure fire hit at any festivity. Again, we offer you our table decoration & floristry services as an optional extra. Prices start at £200. Enquire here. Cheese, charcuterie, smoked fish, olives, artisan breads, fruit, nuts & condiments… presented either banquet style or as canopes, for before, after or even instead of the main meal. Decoration is included in the cost. Prices start at £500. Enquire here. Something that is enjoyed pretty much the world over is hot, melted cheese. Especially when you are using small batch, artisan ingredients. 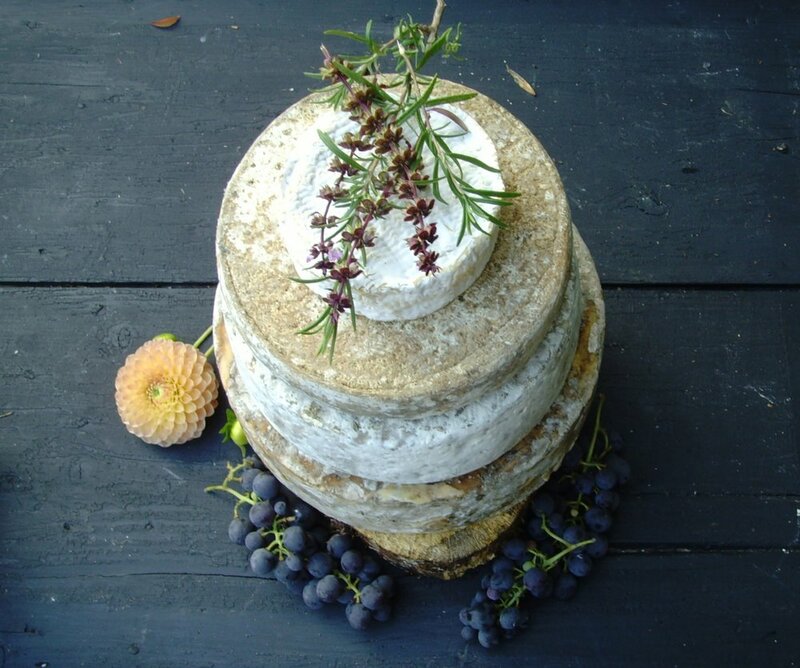 From raclettes with toppings of fresh garden herbs & jalapenos to American-style grilled cheese sandwiches using secret blends of Alpine & British farmhouse cheeses & handmade chutneys, our services have been used to feed guests at a range of celebrations & social events. Served street food style so that guests are able to move about, we can also arrange table service & discuss additional menus. Prices start at £500. Enquire here.